(White Sagebrush, White Sage) Patch-forming herbaceous perennial native to western and central US and Canada. Variable. The softly silvery-white and aromatic leaves give rise to dangling flowers of yellow. 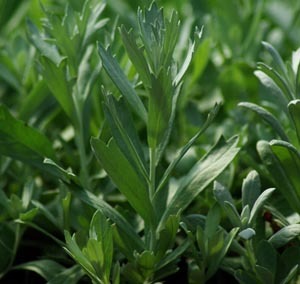 Plant prefers full sun to part shade and will thrive in dry, depleted soils. 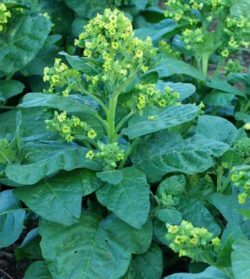 The plant may be cut back in the fall to create a gentle mound come spring. Traditional usage (Native American, TWM): ritual smudge, eczema, spider bite, stomachache, menstrual woes. 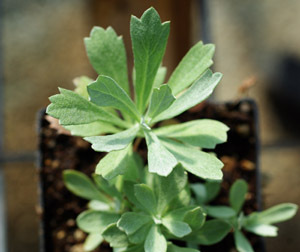 Plant prefers full sun to part shade and may thrive in dry, depleted soils. Sow in spring. Sprinkle seed on surface, tamp securely and keep moist until germ. Our trials show germination in 7 days at 65 degrees F. Germinated seed develops quickly from green specks to respectable seedlings. Space plants 2 feet apart.